Bed with quilted headrest. Steel frame covered with polyurethane foam. 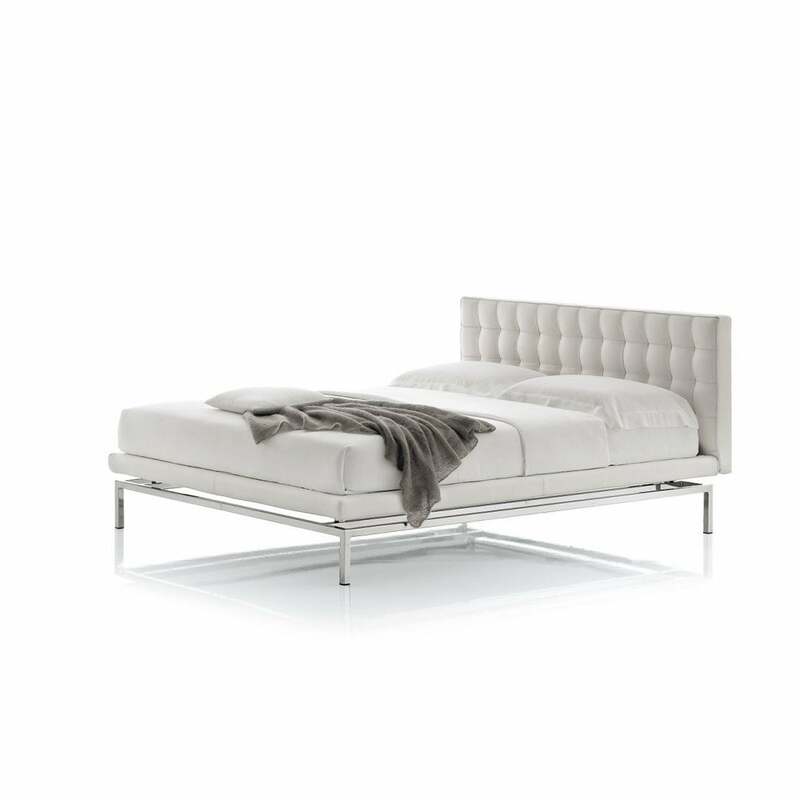 Base in steel tube, painted embossed aluminium or chrome-plated. Beechwood slats. Mattress not included.